What will be entertaining us in 2011? Astrology can give us some clues. Pluto is in Capricorn in 2011 and the sign Pluto is in always has broad effects on our culture. Capricorn is associated with history and tradition, so we can expect a gradual increase in historical subjects in our entertainment, such as TV shows set in historical time periods or movies about historical subjects. The twist in 2011 is that Neptune will enter Pisces and its influences will mix with Pluto’s. Neptune is associated with religion and spirituality. Both Neptune and Pluto also represent what bothers us as a society on a subconscious level. Put those ideas together and you can get lively and interesting explorations of ancient ghost stories, traditional spiritual practices, and shows with an explicit and positive religious theme. In a way, this won’t be too much of a change, because Uranus in Pisces has been prepping us with popular shows like “Ghost Whisperer,” “Medium,” and even “The Mentalist,” all of which explore elements of spirituality, ghosts, and psychic phenomena. History and entertainment channels have produced numerous documentaries on ghosts, Nostradamus, and other supernatural topics. Dan Brown has a been a wildly successful novelist with his religion-themed novels like The Da Vinci Code, and interest in the historical Jesus and alternative gospels has been amplified by shows produced by The National Geographic Channel and others. What’s exciting for the spiritually-minded is that the coming Neptune in Pisces era will increase the quality of entertainment and investigation into true psychic phenomena. Shows with live psychic elements will grow in importance. The interest in psychic phenomena will also adapt to new platforms. Personalized live psychic video chats will become more common; there will be more YouTube videos on psychic and spiritual subjects, and even applications that involve live psychic interaction will be developed for mobile phones. 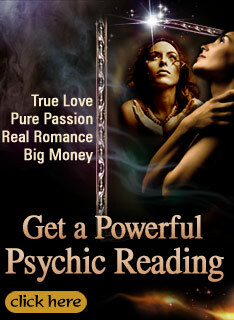 Games and applications will be created that will help you tap into and increase your own latent psychic abilities. All of this will happen as our consumer culture is forced to adapt to the real human need for more holistic values. Of course, not all interest in supernatural topics will center on deep topics; there will be plenty of escapism and romance that incorporates otherworldly subjects. The popularity of the Twilight and Harry Potter books and movies has shown that we love the adventure and chivalry that go with mystical themes. We can expect more entertainment blockbusters along similar lines. The difference in the coming era is that public acceptance of alternate realities will become so pervasive that we will be able to immerse ourselves in the particular spiritual topics that interest us. With Pluto in realistic Capricorn and Neptune in mystical Pisces, we’ll be able to see the true practical value that our spiritual lives bring us. Our entertainment and even our news will reflect the new reality that we must move beyond mere reliance on science and technology to guide our lives to embrace the healing qualities of the human spirit.